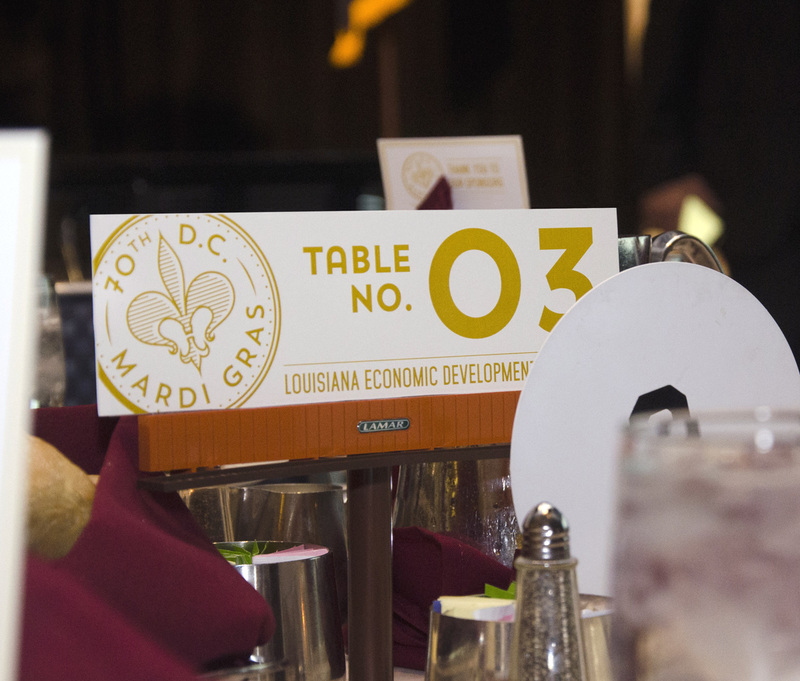 Washington Mardi Gras has become a beloved tradition dating back to 1944 when Louisianians living in our nation’s capitol rallied together to bring Mardi Gras to Washington, DC. 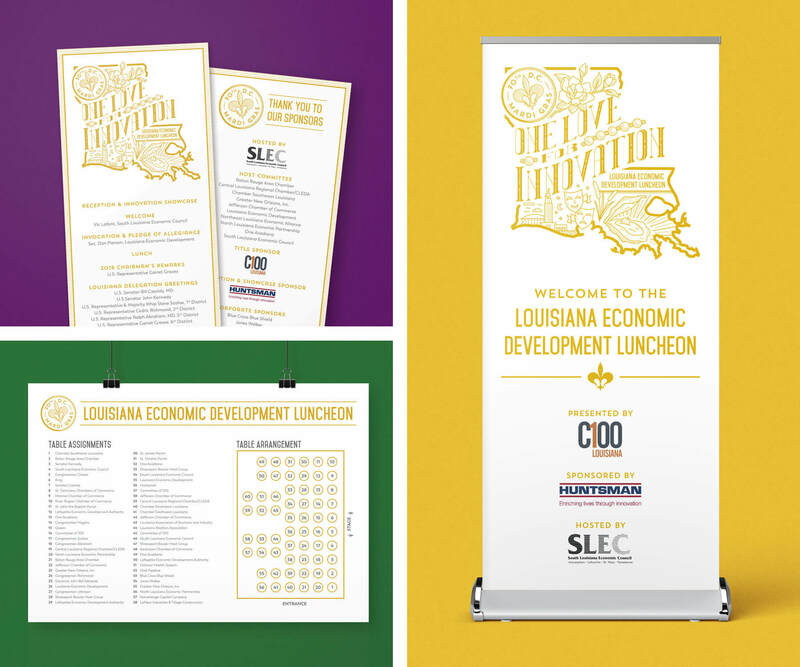 In partnership with the South Louisiana Economic Council, White Car was given the honor of branding the 70th Washington Mardi Gras Friday Luncheon, an economic development luncheon featuring Louisiana’s most prominent politicians, economic councils and chambers, business leaders, and more. 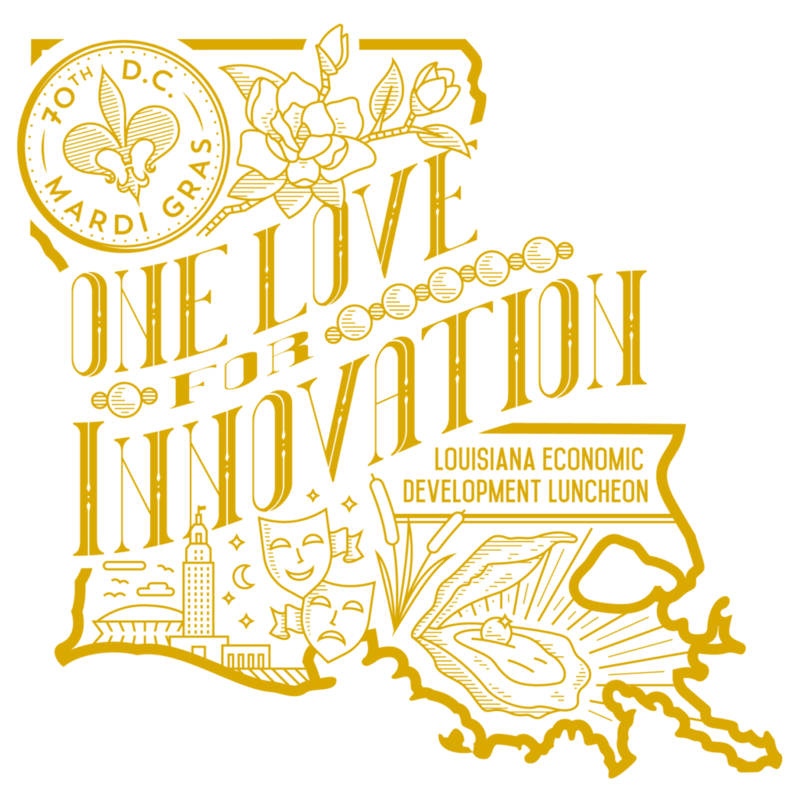 The theme of the year, “One Love for Innovation”, paid homage to the year’s King of the Krewe with a focus on business and industry growth in the state. 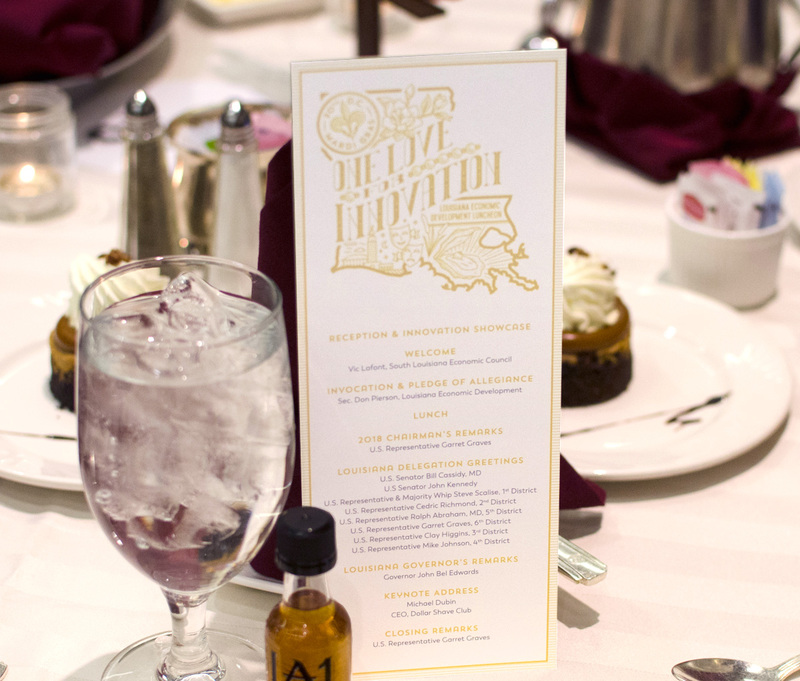 From the beginning, it was important to fully embrace the charm of Louisiana. 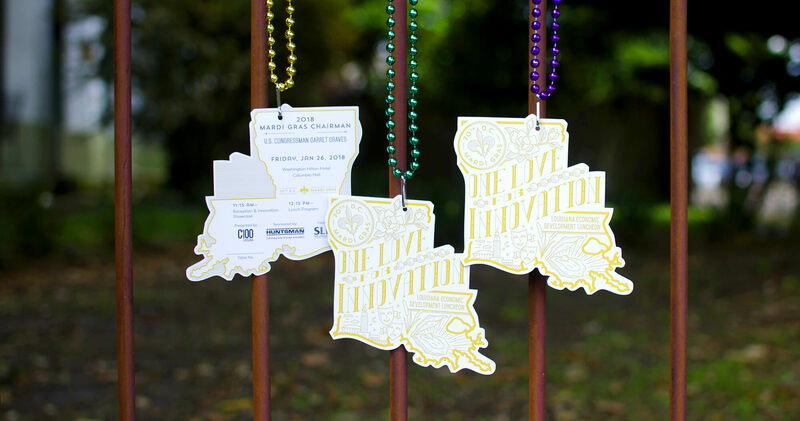 Drawing inspiration from vintage Mardi Gras ball invitations, event materials featured hand-drawn lettering and illustrations of well known Louisiana and Mardi Gras symbols set in a single, brilliant gold.